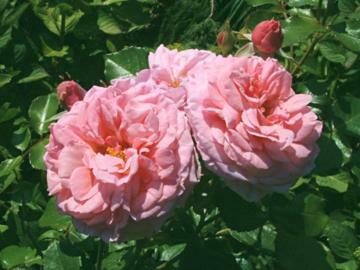 Climbing Hybrid Tea, with scented fully double salmon pink flowers repeating through summer. Leathery dark green leaves. Disease resistant.